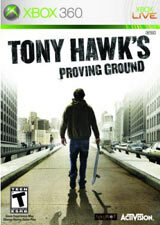 Reengineered from the ground up for the PlayStation 3 system and Microsoft's Xbox 360, Tony Hawk's Project 8 immerses players in the definitive skateboarding experience using ultra-realistic graphics, enhanced physics and extremely responsive controls that simulate the feeling of skating with every trick and bail. 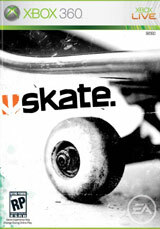 The game challenges players to experience the intensity and pressure of skating against some of the world's top pros in true to life competitions as they aim to become the #1 skater. Next Generation Gameplay Brings Skateboarding to Life: Tony Hawk's Project 8 is built from the ground up with an entirely new engine for Sony and Microsoft next-generation consoles and features the most advanced graphics ever for a Tony Hawk game, including full 3D body scans of pro athletes and motion captured skateboard tricks. 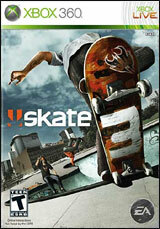 Gamers have the freedom to progress through the game in multiple ways and decide the type of pro skate they want to be. 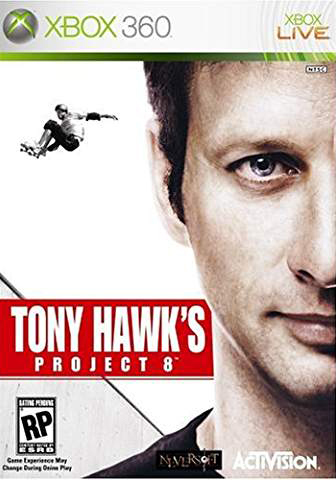 Most Unique, Robust and Realistic Skateboarding Game Experience Ever: Tony Hawk's Project 8 offers more goals, side-missions, secret areas and mini games than any other Tony Hawk game. Players track stats with new in-game record keeping, switch characters mid-game to accomplish a goal, or just skate how they want to skate. "Picture-in-a-Picture" – Player can watch gameplay unfold on the main screen while observing the action on film in a superimposed video box. "Movable Ramps and Rails throughout the city" – Place ramps and rails to set up amazing lines and/or gain access to secret spots. "Impress the Locals" – For the first time ever, players must impress in-game citizens and pedestrians to build up respect. The pedestrians watch players perform tricks, laugh at brutal bails and punch players in the gut for knocking into them.